Telrad 4G LTE Products | SWG, Inc.
Telrad is a provider of innovative LTE solutions that help enterprises keep pace with the demand of high-bandwidth applications and services. Agile Shipping. While most retailers move excruciatingly slow when it’s time to ship orders, we offer speedy same-day shipping. When you order before 2pm EST, your order will be shipped that same day. Top-Notch Support. When you have a problem that you and your team cannot solve, our knowledgeable engineers are on-call to help you solve the issue. A Full Selection. 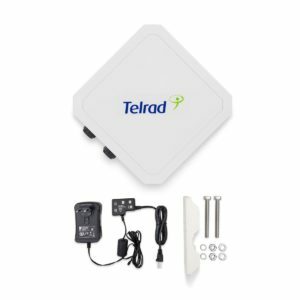 Enterprises rely on our wide selection of Telrad products when they purchase from SWG. We stock more products than we list on our website. Call us today to get a custom quote.